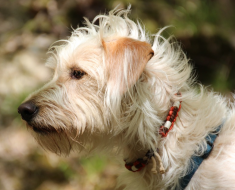 What to Feed a Dog with Diarrhea? - You must Know! You might wondering that what to feed a dog with diarrhea?. Well, it’s a common condition in canines that has many causes which we’ll be discussing soon in this article. To know the different types of diarrhea, your dogs can help you decide how to best help your beloved dog by the output coming from your dogs..
You might feel awkward to discuss this topic as much as I used to, but if you own a dog, sooner or later, you have to come across the situation when you find yourself cleaning a dark-brown or bright -reddish color canine stool. Thus it is better to get used to it and have adequate information the issue. 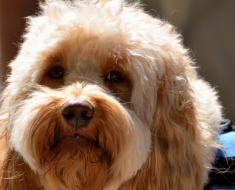 Though, you cannot prevent it entirely from happening, but, the knowledge will help you limit the number of time your canine suffers from this problem. As per the definition, diarrhea is a common canine affliction in which feces discharges from the bowels frequently and in a liquid form. Loose and frequent excrement discharge is the primary warning of diarrhea. The other symptoms of diarrhea include frequent vomiting, abdominal pain, appetite loss, weight loss and marked lethargy. Dogs have a bad habit of mouthing on almost everything they see around. This may lead to an upset stomach, and in severe cases, leads to diarrhea. Other causes of diarrhea in dogs may be a sudden change in diet, stress, viral, bacterial or parasitic infections. Symptoms of a more chronic diarrhea in canines can be dietary allergies, pancreatic disease irritable bowel syndrome, some types of cancer, and diseases outside of the GIT tract, such as liver failure or heart disease or any bacterial infections. Before we introduce some tips for diarrhea cure in dogs, let us warn you here that the intensity of this disease and the strength of immune system in dogs, vary from dog to dog. While some dogs react promptly to home remedies, some dogs suffer more than they need to because of a delay in professional consultancy. So, in a general case, it is better to involve your veterinarian before the case of runs gets worse. If your canine friend is too young, very old or has a history of diarrhea, you better call your vet. If the dog has a frequent episode of diarrhea, or is vomiting profusely. If your pooch’s stools are frequent and very watery. If the dog stools are of dark and tarry color or more than just a streak of blood. But if your dog does not fall in mentioned above categories, you can try some home treatment. TIP # 1 – Take away all the water and food from your dog for one day – Do not give any food or water to your pooch for 24 hours. If your dog is very young or dehydrated, give few ice cubes or a small amount of water frequently with the time interval. TIP # 2 – Resume water with limitation – After 24 hours of resume his water supply but with control. Give him some clean water time to time. Do not give him a full water bowl at a time, but some amount of water after every few hours. What Food to Give a Dog with Diarrhea? After 24 hours of fasting, you can give your canine friend serve your pooch with bland diet in small quantity 4 to 5 times in a day. Avoid Bones & Snacks – During the case of runs, avoid giving our dog bones or snacks, and do not feed him from the table as these things can further irritate dog’s intestinal tract, which has already been over sensitive. Remove all food for 24 hours. After this small meal, wait for two hours. If no vomit, then give another small meal, you may change the dish this time if you like. Give these diets for one week, or so and increase the amount of water and food gradually and the time gap between meals. Never feed your dog table scraps or spicy food. Keep up-to-date with all vaccinations. 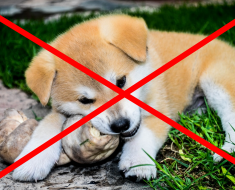 Don’t allow your pet to eat bones, sticks or rocks. Have regular vet checks for worms. Exercise your dog regularly, and keep him at a healthy weight. Once the formed stool is passed, slowly move back towards the old menu of your dog. Also, let your dog drink water freely to recover from dehydration and lack of water in the body. Call your vet if the dog’s condition deteriorates, or diarrhea continues for more than 48 hours. Related Articles that You should read to decrease a chance of getting through diarrhea. The below links are for general food guide, it’s not related with the foods giving to your dog going through diarrhea. But as General. 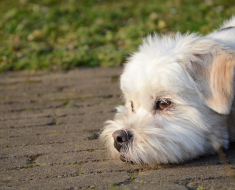 It is much important and essential to know what to feed a dog with diarrhea and it is also important to know when to withhold food to avoid aggravating the condition. Just to let you know Diarrhea itself is not a disease, it is one of the symptoms of an intestinal upset condition. For most of the dogs it is a short term condition to go through and can be cured well and successfully with bland diet and gentle treatment. If the condition persists, your vet can determine and treat the cause. 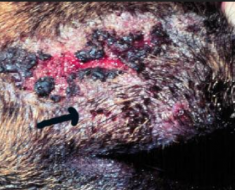 I believe every pet owner time to time learn about disease in dogs. 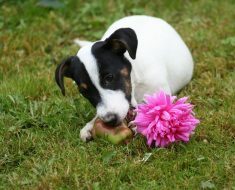 If you really like my piece of article on what to feed a dog with diarrhea, if you like then don’t forget to comment down and let me know your suggestions and appreciation. A share on this article will be also appreciated. Thank You. It should read puss or mucus looking stuff(not much) in her stool. What is this?